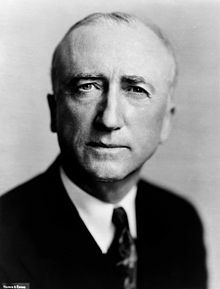 Today in Masonic History James Francis Byrnes passes away in 1972. James Francis Byrnes was an American politician. Byrnes was born on May 2nd, 1882 in Charleston, South Carolina. His father passed away shortly after Byrnes was born. At the age of 14, he left the private Catholic school he was attending to when his cousin, who was the Governor of South Carolina, appointed Byrnes to clerk for Judge Robert Aldrich of Aiken, South Carolina. The position required that Byrnes be 21, so Byrnes, his mother and the Governor changed his birth date to make him old enough. Byrnes would go on to read law and be admitted to the bar in 1903. In 1910, Byrnes was elected to the United States House of Representatives as a Democrat. He would remain in the House until 1924. While there he was advocate for better roads and was a close ally of Woodrow Wilson. In 1924, Byrnes ran for a United States Senate seat from South Carolina. His opponent was heavily favored by the Ku Klux Klan. Byrnes himself was by no means a civil rights advocate, through out his political career he favored segregation of schools. Still his opponent, Coleman Blease took a much harder line when it came Civil Rights issues. By the time of the 1924 election, Byrnes had converted to Episcopalian. Despite this the KKK and the Blease painted Byrnes as a secret Catholic. Twenty Blease supporters came out three days before the election with the statement that they had all been Altar Boys with Byrnes and endorsed him. In the end that tactic would contribute to Byrnes losing the election. Byrnes would lose in a run off election 51% to 49%. In 1930, Byrnes would once again go up against Blease for a United States Senate seat. This time the run off election would have the exact opposite result. Byrnes would win 51% to 49%. During his time in the United States Senate, Byrnes would be a major supporter of the New Deal. He would also become a close friend and ally of Franklin Delano Roosevelt. In 1936 he won reelection promising "I admit I am a New Dealer, and if [the New Deal] takes money from the few who have controlled the country and gives it back to the average man, I am going to Washington to help the President work for the people of South Carolina and the country." He would also work to bring jobs and new projects to South Carolina. He was able to get Federal money to create the Santee Cooper damn which is still a template for public owned electrical utilities world-wide. In 1941, Roosevelt appointed Byrnes to the United States Supreme Court. He served only 15 months before taking a position as the head of Roosevelt's Office of Economic Stabilization. In 1943, Byrnes moved to the Office of War Mobilization which was in charge of bringing factories back on line when they were shuttered during the Great Depression and transporting troops and equipment within the United States. He is credited with helping to finally put an end to the Great Depression. At the 1944 Democratic Convention, Byrnes was heavily favored by Roosevelt to replace Henry Wallace as Roosevelt's running mate. Truman instead got the position. After Roosevelt's passing, Truman and Byrnes became close. Truman would rely on Byrnes for his experience. One of the few people Truman met with on his first day in office was Byrnes. Byrnes would also be the one to brief Truman on the existence of the Manhattan Project, something Truman knew nothing about until he became President. A divide would begin forming between Truman and Byrnes, particularly after World War II. Truman had appointed Byrnes as Secretary of State. Truman began feeling that Byrnes was making foreign policy on his own. Many felt that Byrnes had become bitter because he felt he should have been in the White House not Truman. If things had gone differently at the 1944 convention, it may have been the case. In 1951, when other men his age were retiring from politics, Byrnes became the Governor of South Carolina. Still a strong supporter of segregation he would convince Kansas to write an amicus curiae, a brief that provides information about a case despite not being involved in the case. This was in support of South Carolina when the NAACP was suing the state over it's segregated schools. The amicus curiae caused the NAACP to shift it's attention to Kansas and would lead directly to Brown V Board of Education. Prior to the NAACP shifting it's attention to Kansas, Byrnes would make one last attempt at the "separate but equal" strategy and would invest large amounts of money on new books, buses and other items for African-American only schools. Byrnes would retire from politics in 1954 when his term as Governor was over. He would remain a presence in national politics for the remaining 18 years of his life. He would move to the Republican party when he decided that the Democratic party had become too liberal. He would in the late 60's help Richard Nixon draw old-time Southern Democrats to the Republican party. Byrnes passed away on April 9th, 1972. Byrnes was a member of Aiken Lodge No. 156 in Aiken, South Carolina and later a member of Spartan Lodge No. 70 in Spartan, South Carolina. He was also a member of Chapter, Council and Commandery (Knights Templar) in the York Rite.